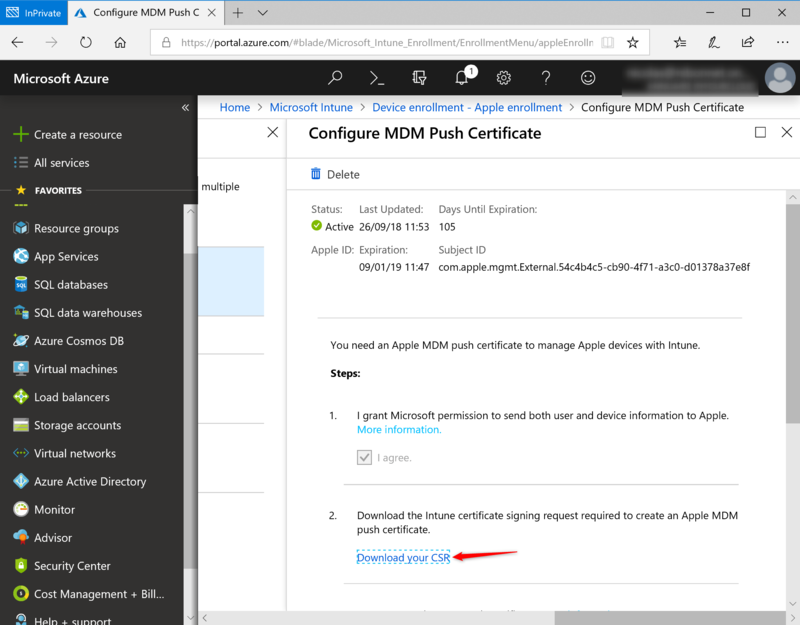 If you want to renew your certificate, on the Azure Portal click on Device enrollment / Apple enrollment and Apple MDM Push certificate. Click on the link Download your CSR on the Azure Portal. 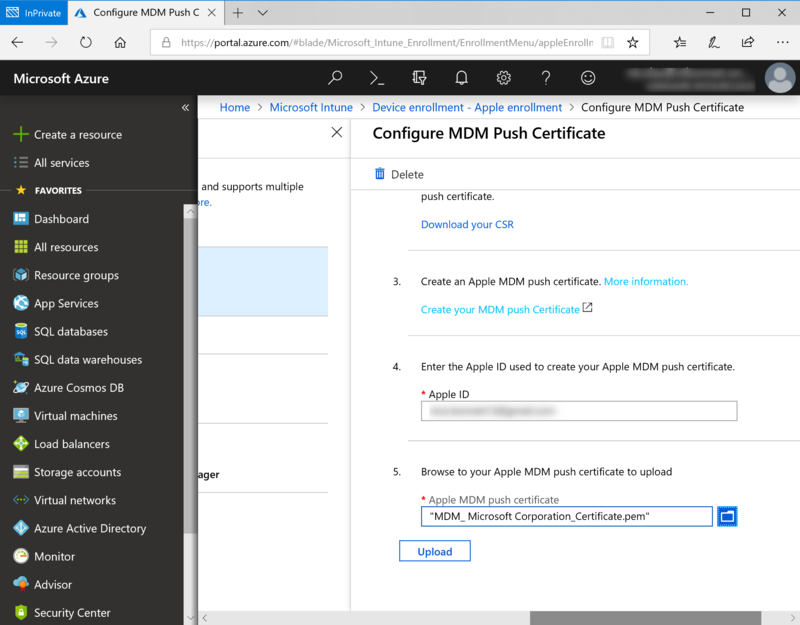 After downloading the csr file, click on the link Create your MDM push certificate. 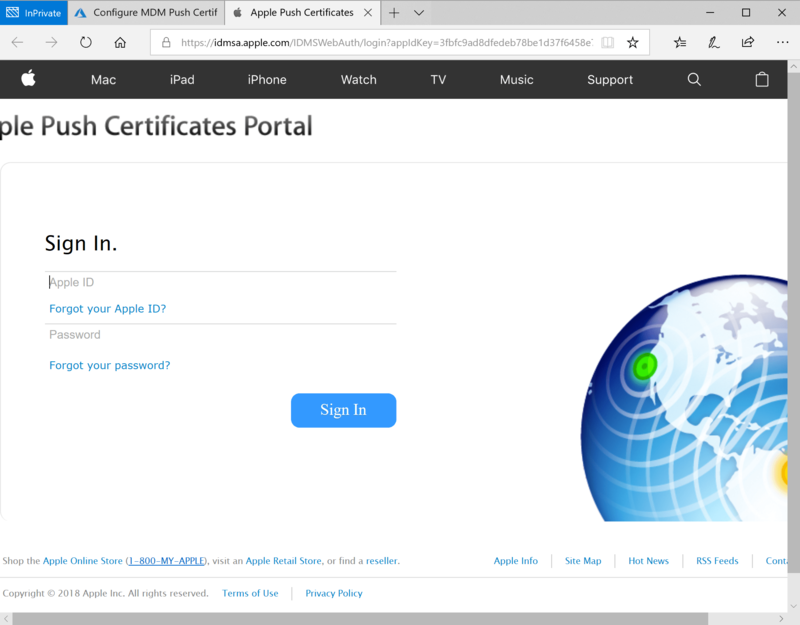 The apple web portal appears, connect using your apple IDs. 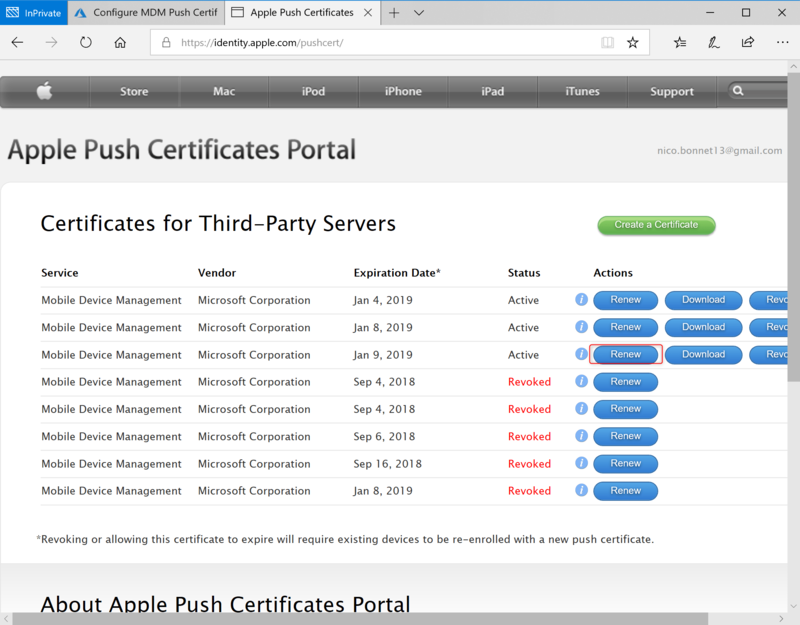 The list of certificates issued appears. Click on Renew at the appropriate certificate level. A new window appears, click Browse to select the previously downloaded CSR file. Click on Upload to upload csr file. 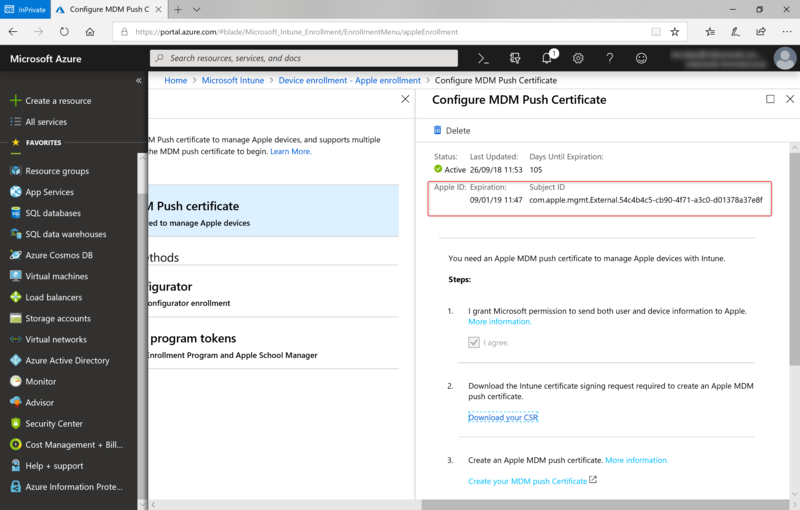 When certificate has been generated, click on Download. 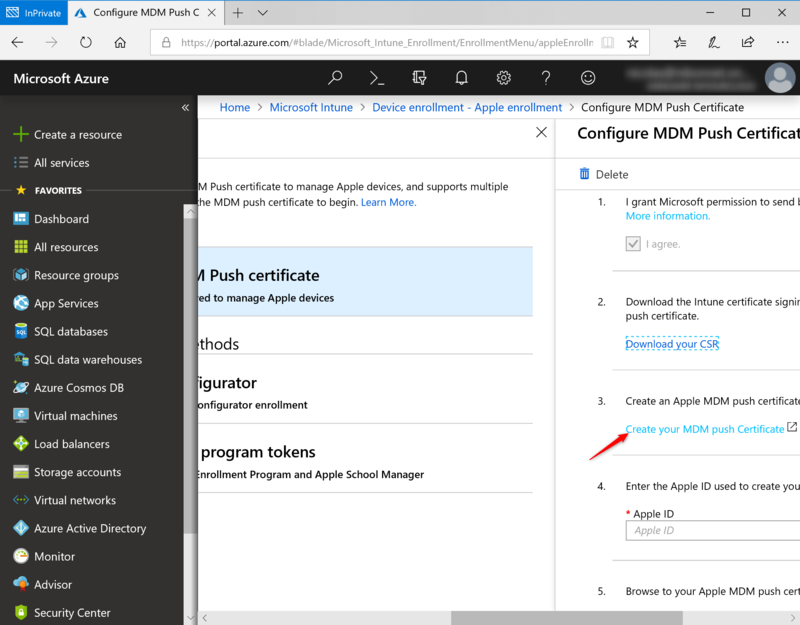 On the Azure portal, enter your Apple ID (do not change Apple ID) and upload certification file. If you change the Apple ID, you need re-enroll all device. 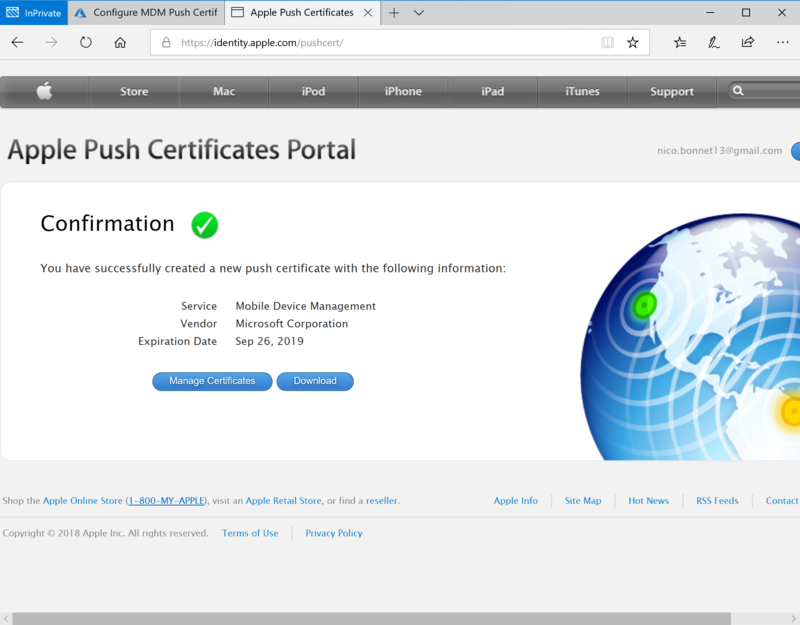 After that uploading new certificate, expiration date has been changed. 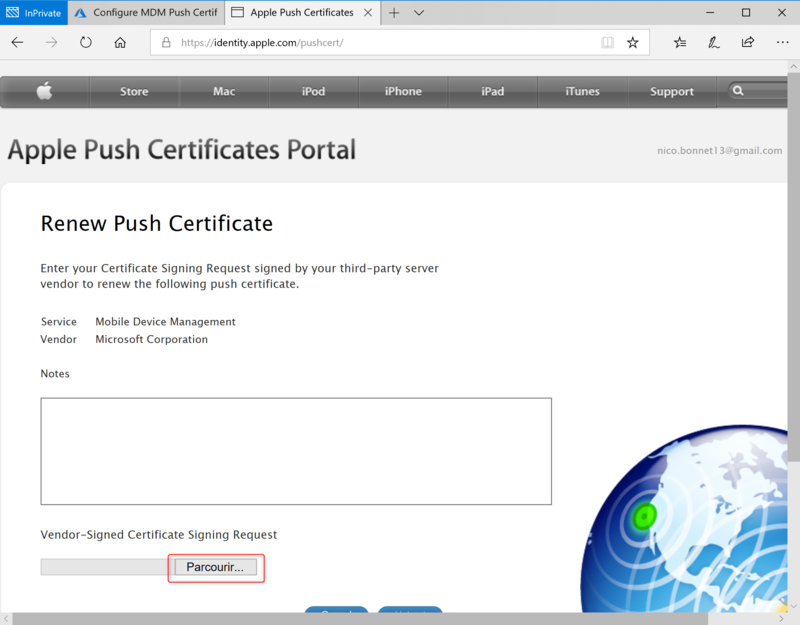 You can enroll new IOS device.